Veterinarian Dr. Andrew (Andy) Acton and his family. Supplied photo. Most people know Dr. Andrew (Andy) Acton first and foremost as the owner-operator of Deep South Animal Clinic in Ogema, Sask., a mixed-animal practice where he spends his days working to make both small and large animals alike live happy, healthy lives. However, Acton is just as much a part of the animal production industry as many of his clients are. A thinner slice, perhaps, given his relatively small herd of 40 cows — but even so, he thinks the role has granted him a stronger connection and greater credibility with the people he serves. 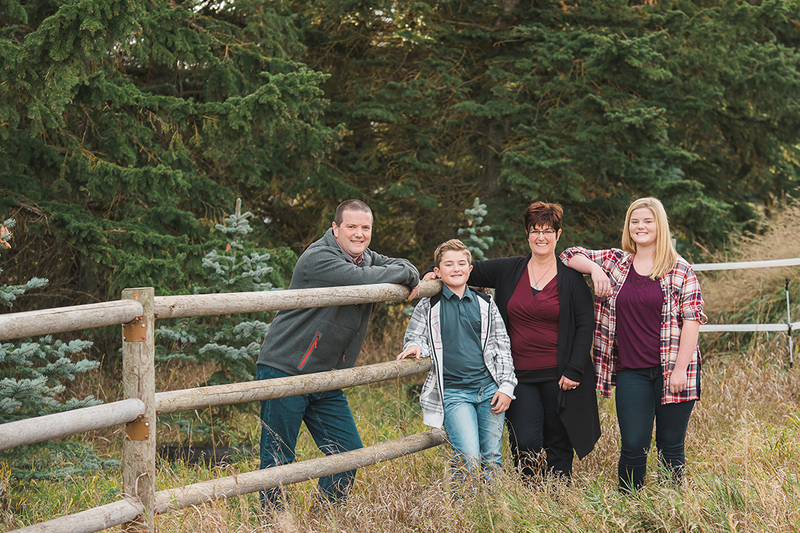 Acton, who graduated from the Western College of Veterinary Medicine (WCVM) in 1992, credits his childhood years on his family’s farm with sparking a lifelong love of animals. After completing his veterinary degree, Acton went on to pursue further training: he became a diplomate with the American Board of Veterinary Practitioners and is certified in beef cattle practice. While his interest in animals grew into a particular affinity for bovine health, Acton says he makes a point of treating animals of all kinds in his clinic. This is partly due to the wide range of species in the area in which he practises, but also because he believes the breadth of work helps to cultivate his own knowledge base. For both his own livestock and those of his clients, Acton looks to the strengths of preventive medicine as a key factor in promoting overall health and wellness. His goal is to spend less time fixing concerns that could be avoided through herd management and more time addressing the unforeseeable issues that are impossible to plan for in advance. Acton maintains strong ties with veterinary medicine’s educational community, bringing students from schools across Canada through externships at his practice or as summer help with his cattle. It’s these bright, hungry minds — and institutions like WCVM, helping them grow their understanding of animal health — that he sees as integral to the economical and agricultural health of Saskatchewan and Canada as a whole.